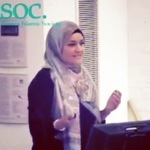 Zara Faris graduated in Arabic & Islamic Studies from SOAS University (School of Oriental and African Studies). She has lived for a year in Egypt studying the Arabic language. She is now a researcher, writer, and international speaker for the Muslim Debate Initiative (MDI). She is of Kurdish/Pakistani origin. ​In the UK, Zara has delivered lectures at universities around the country (including SOAS, LSE, KCL, and UCL) on Women in Islam, Justice for Women and Men, Feminism, Reformation and Revival, and Muslims in the West. She has also convened courses for As-Suffa Institute and Al-Balagh Academy. She has had regular TV and radio media appearances, including on the Islam Channel and BBC Radio. Zara has debated feminism with former Green Party leader Natalie Bennett, journalist Julie Bindel, academic Ziba Mir-Hosseini, and Marina Mahathir (daughter of the former Malaysian Prime Minister). Zara has also debated Islamic reformation with Tom Holland, and extremism with Peter Tatchell (amongst others). ​Outside of the UK, Zara has spoken in Ireland, Germany, New Zealand, and Malaysia. Her work has been translated into Arabic, German, Malaysian, Indonesian and Albanian. For details of past and upcoming events, click here. To contact her with any queries or booking requests, please click here.